Are you struggling to find the perfect recipes to add some flavor to everyday meals? Cookbook Digest might be the magazine for you. This tri-monthly publication has recipes for everyone – prepared by professionals but affordable and simple at the same time. 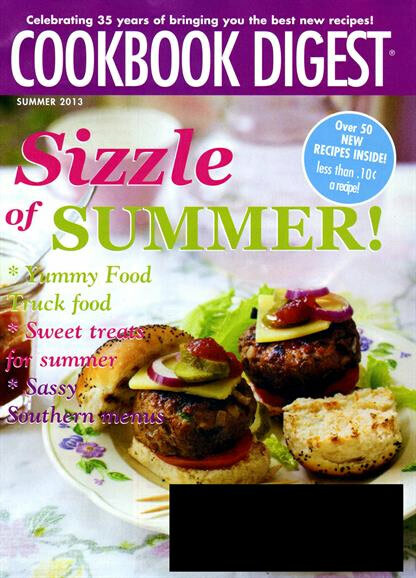 Each issue of Cookbook Digest offers up practical tips to enhance cooking skills, in-depth cooking instructions, and advice on other cooking-related products trending in the market. Publisher: Grass Roots Publishing Co. Tried and true. This is a no frills mag that delivers on it’s claims. Has a broad range of recipes that can satisfy anyone.